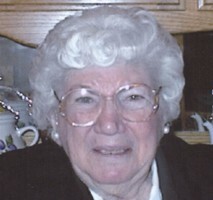 SENENTZ Florence "Sally" Picolo Senentz entered into eternal rest on Saturday, October 16, 2010 at the age of 89. Beloved wife of the late Irwin M. Senentz. Mother of Irwin Senentz, Jr. (Sandy) and Gayle S. Olmstead (Bob). Grandmother of Dan Senentz (Tammy), Missy Wiseman (Craig), Robert Olmstead, III (Daisy), and Peggy Salas (Richard). Great-grandmother of Daniel, David, and Dominic Senentz, Benjamin and Matthew Wiseman. She was a member of St. John Lutheran Church in New Orleans. A funeral will be held Wednesday, October 20, 2010 at 1:30 PM at St. John Lutheran Church, 3937 Canal St. Visitation will be from 11:00 AM to 1:00 PM at Jacob Schoen & Son Funeral Home, 3827 Canal St. Interment will be in St. Louis #3 Cemetery. In lieu of flowers, donations to St. John Lutheran Church preferred. Please sign the guestbook at www.schoencanalstreet.com.